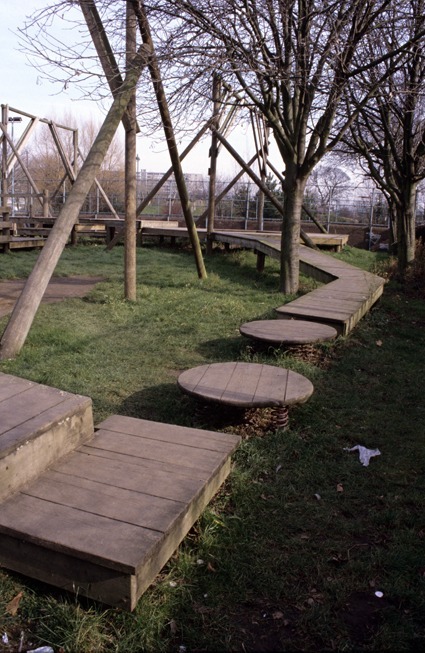 Burgess Park Adventure Playground was moved to its present site in 1995.Its previous site next door had a classic raised earth bank which can still be seen and has been left to grow wild. In Victorian times a menagerie occupied this site and it is said that the first giraffe was exhibited here. Last visited and photographed 2003.